We'll be in touch again in early Nov with a Final Rider Update. Until then, have a Happy Halloween and continue to enjoy your fall cycling season. And please always keep it safe out there! 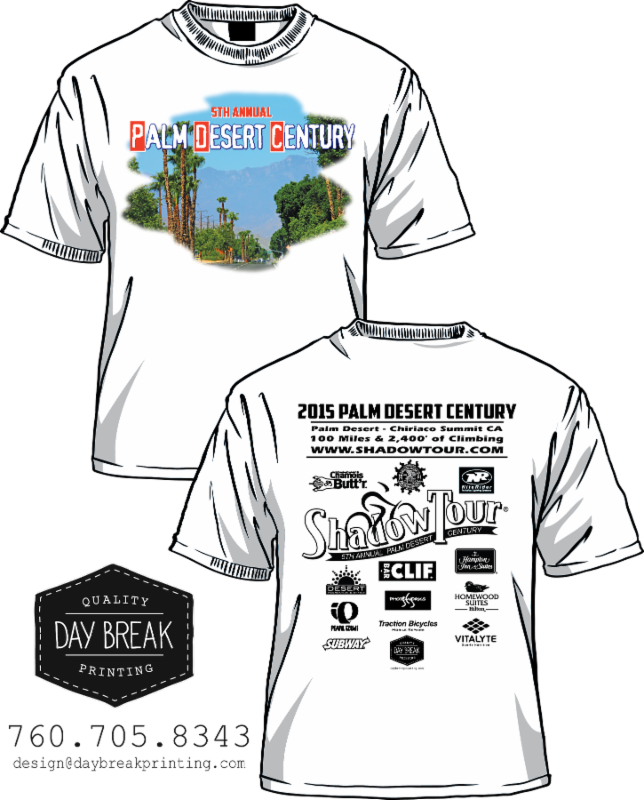 There's still time to catch "Standard" prices for the 5th Annual 2015 PALM DESERT CENTURY on Sat, Nov 14, '15 in Palm Desert, CA. We're pleased to offer a special discount to past Shadow Tour riders, their friends & family, and members of the Interest List. Sign up Today & Save!